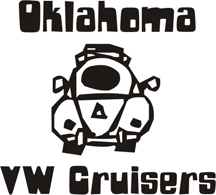 Oklahoma Vw Cruisers • Internet scammers!!! Here is one I chased a while back, I am amazed the ad is still there. I figured it was a scam when the price was only $2900 and he was going to pay shipping to have it delivered to me. I played around with this guy on email for a month or so, it was a lot of fun. Finally he just quit responding. He said he was in Florida, so I told him that I would be in Florida on business and would just come by and pay him cash for the vehicle, then he tells me it is actually in storage in New York. OK, I told him I had a brother in New York who could come by and inspect the van and pay him, and it went on and on for a while. Anyway everyone should send an inquiry to this jerk and play games with him. He can't spell worth a flip either, another indication of a foreign scam. DO NOT BUY INTO THIS IT IS A SCAM! Snot Rod wrote: Here is one I chased a while back, I am amazed the ad is still there. I figured it was a scam when the price was only $2900 and he was going to pay shipping to have it delivered to me. I played around with this guy on email for a month or so, it was a lot of fun. Finally he just quit responding. He said he was in Florida, so I told him that I would be in Florida on business and would just come by and pay him cash for the vehicle, then he tells me it is actually in storage in New York. OK, I told him I had a brother in New York who could come by and inspect the van and pay him, and it went on and on for a while. The van is back for sale but now on Craiglist. Found it on other cities Craigslists as well. I think I will email him and see if he will take $7,500 if he will deliver it by this weekend. You can tell it is in Oklahoma City by the palm trees in the picture.